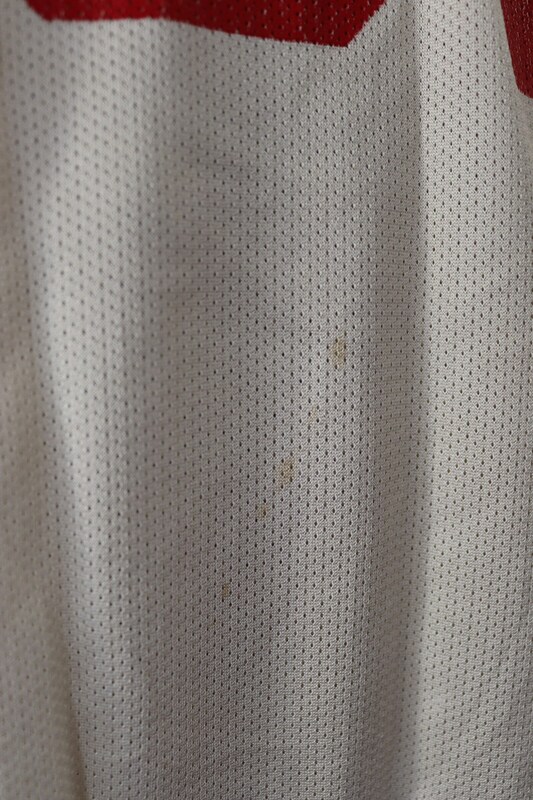 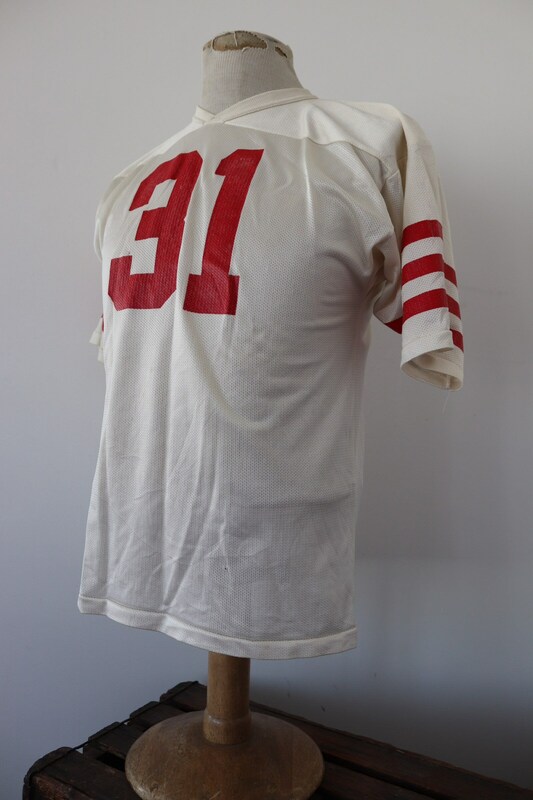 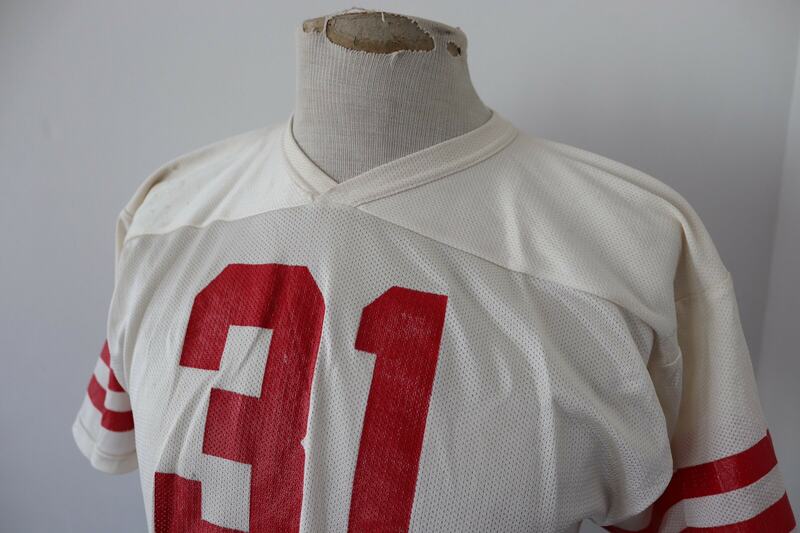 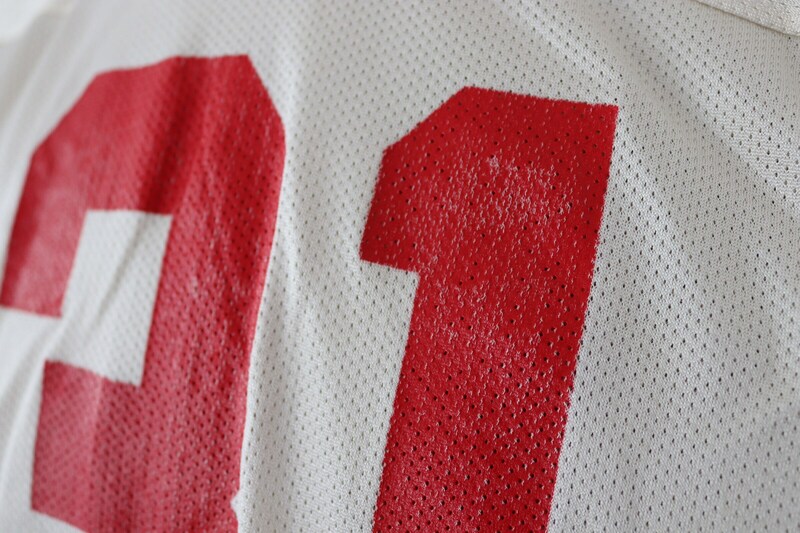 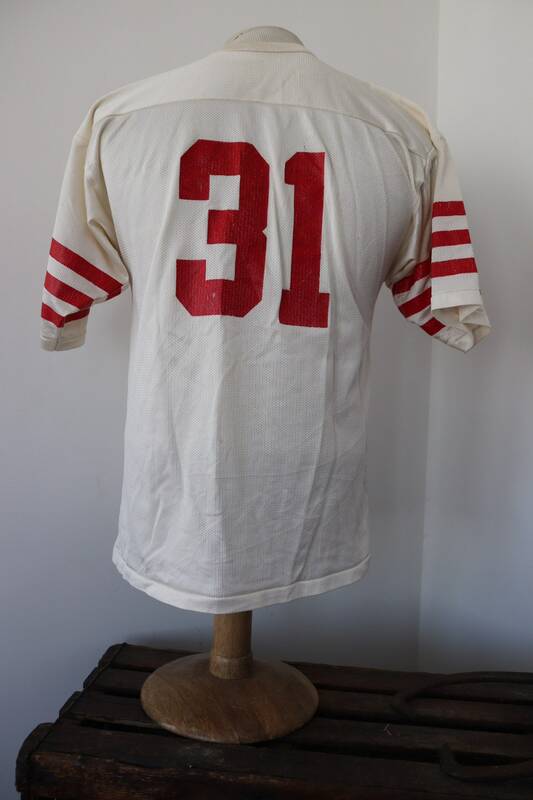 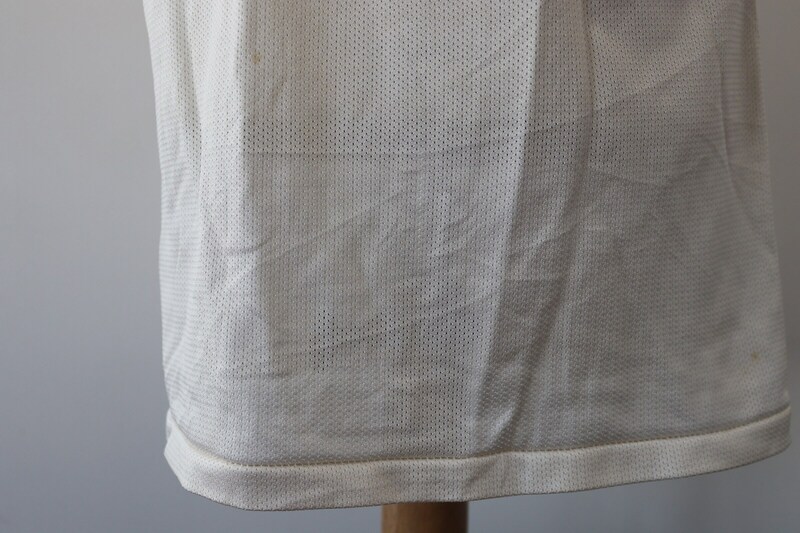 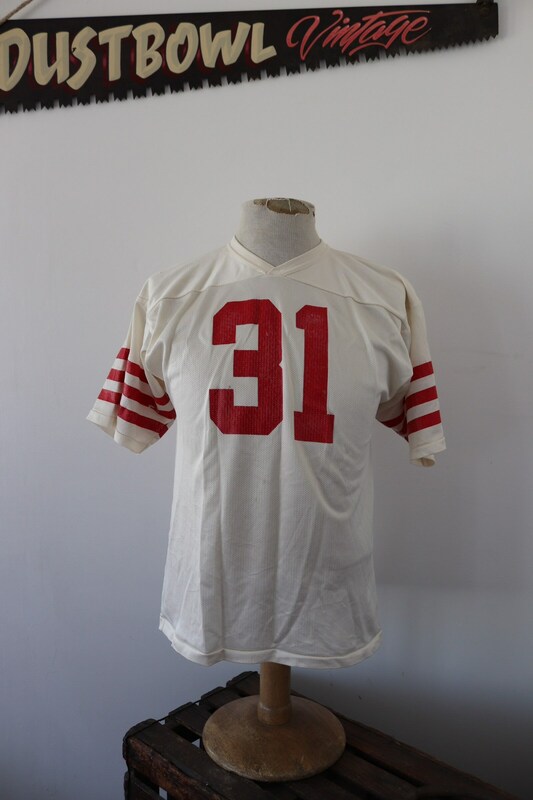 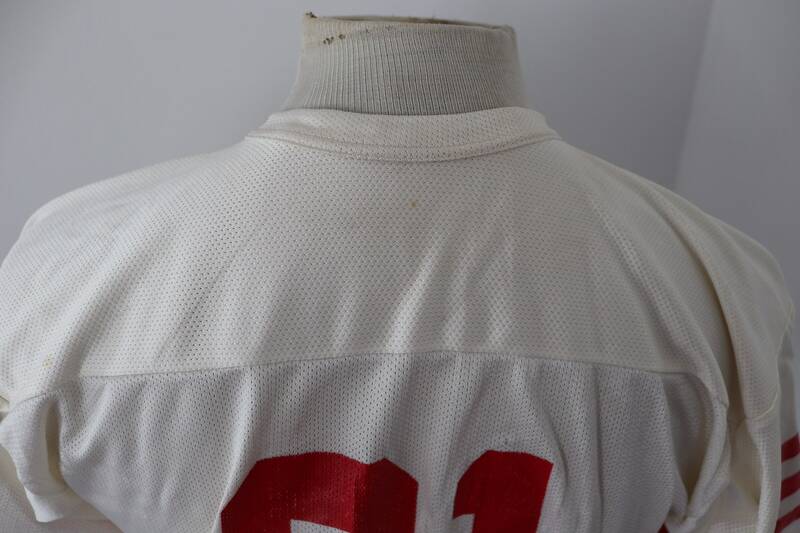 A white and red nylon mesh American football top dating from the 1980s. 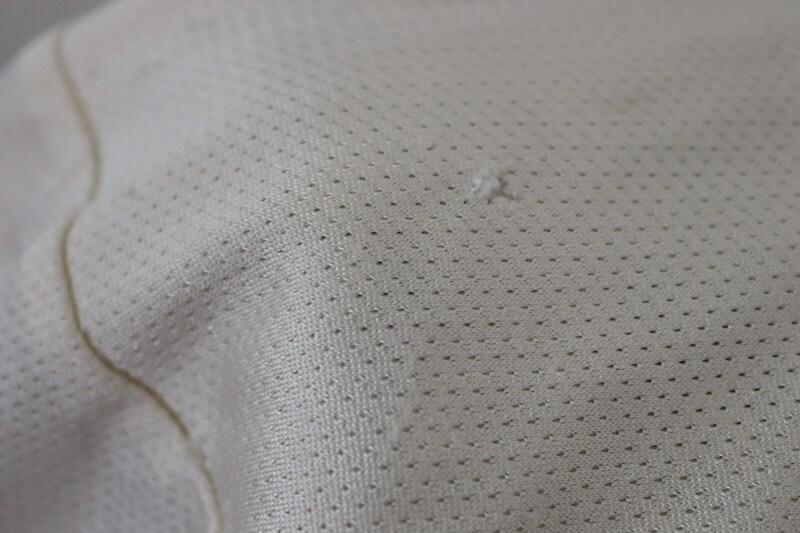 Noted flaws - some small marks on the centre front and back and some small holes on the right shoulder - please see photos. 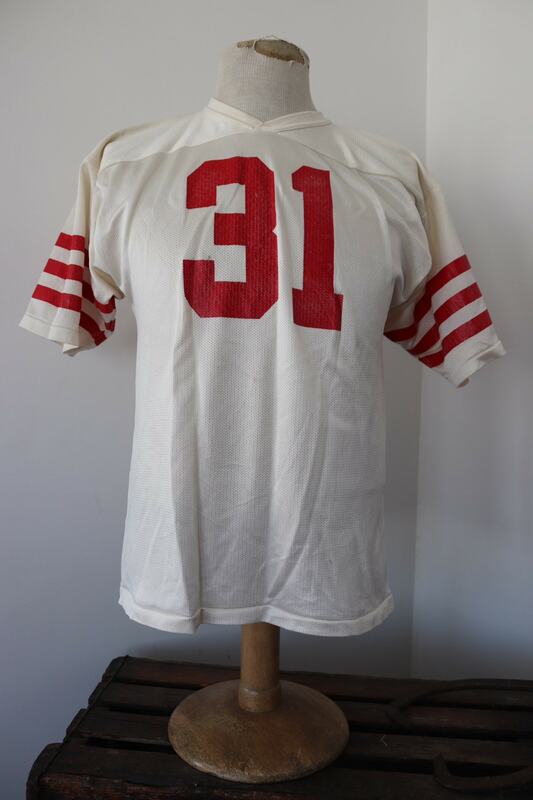 Freshly laundered, red vinyl numbers and stripes, double lined over the shoulders, shiny mesh fabric, classic American sportswear.